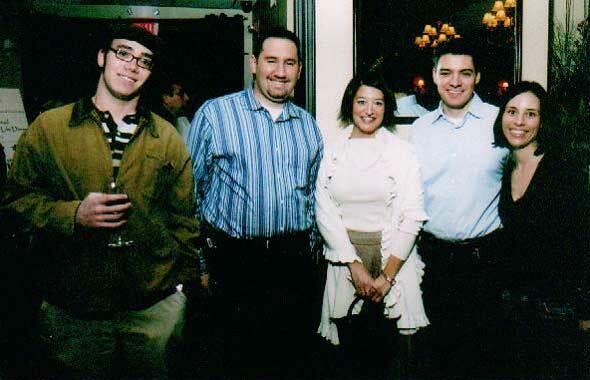 The second year's dinner was held at Ristorante Bella Via in Highland Park, IL. 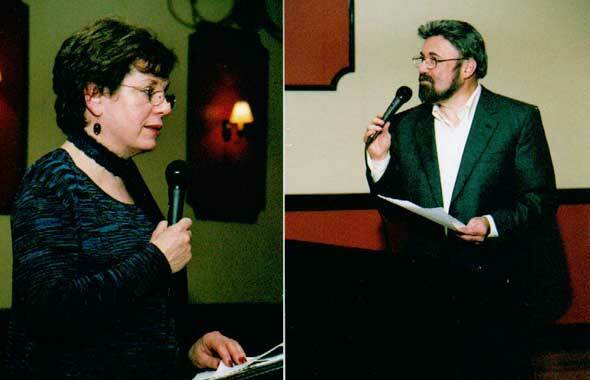 Judy and Alan Miller speak to the audience. 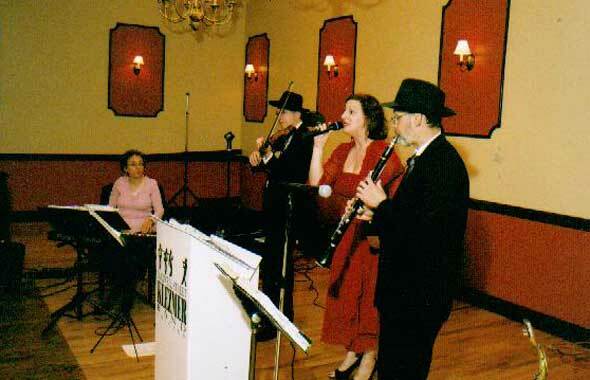 A Chicago-land favorite, the Maxwell Street Klezmer Band. Friends, family and other guests enjoy pizza and good company.